I didn't realize that it's almost been a month since the last post! Honestly, I have NOT been just twiddling my thumbs. Just after my last post we went on a short visit to the Black Forest in Germany. It was gorgeous and the people were just so warm and friendly. I didn't want to leave. 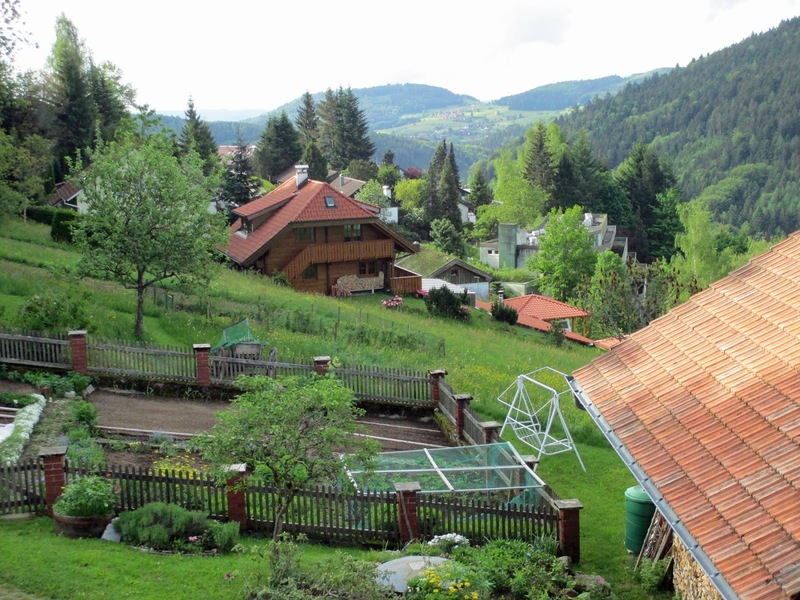 View from the house where we stayed in Stockmatt. Since, I've been back, however, I've actually been doing a little sewing and a lot of organizing and clearing out. I got rid of most all my scrapbooking and cardmaking magazines, some of which were really dear to me (and expensive, like the Somerset Studio, Stampington, and vintage scrapbooking ones that no longer publish). 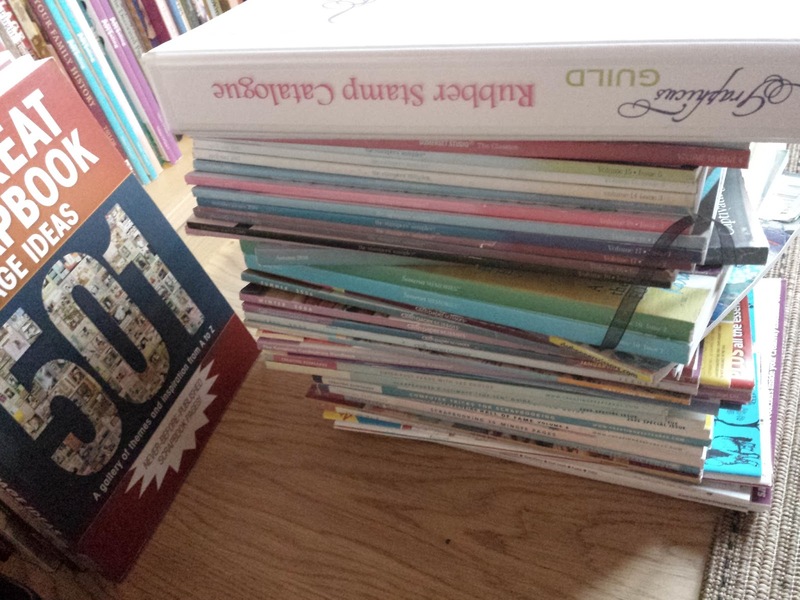 There were stacks of them, but I advertised them on Streetlife.com and someone has given them a very good home. I need to clear out a lot of my supplies, too, but can't bring myself to do much of that just yet. I keep thinking that maybe, just perhaps, just someday, I might want to use a stamp, a Tim Holtz die, a scrapbook paper, etc. You never know...and I'd sure hate to have to replace something I'd given away! Just one of several piles of magazines! So my sewing pile is growing. 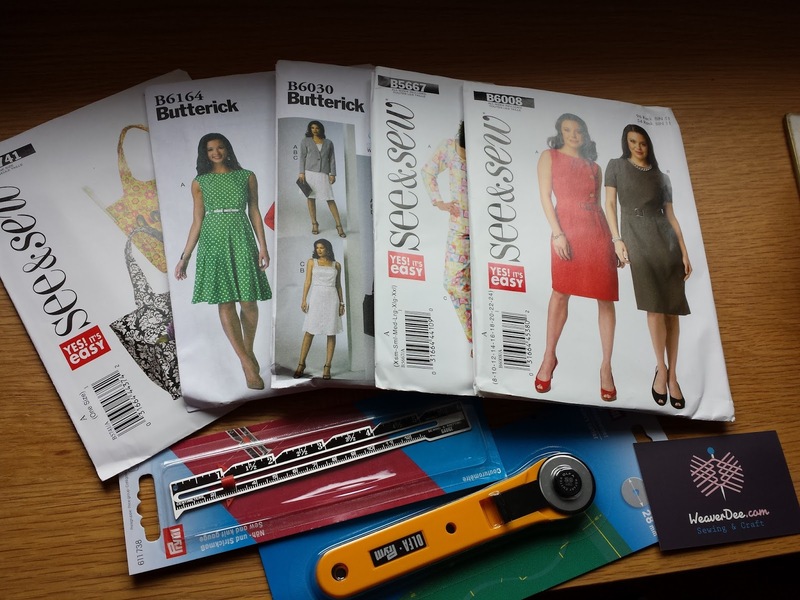 I haven't bought any new fabric, but just found some Butterick patterns for half price and couldn't resist that! One of my latest sewing projects has been a tote bag. I love the fabric and the bag is certainly usable, but I wouldn't want anyone to look too closely at the construction. I still haven't mastered a STRAIGHT seam. Mine wobble all over the place. And for this bag, I followed a free online tutorial but I think I misread the instructions as the shape and size is nothing like the bag in the tutorial! Oh well, as my friend Hazel always says: "It's a prototype!" Next time I'll do it differently. Actually a bag is the last thing I need since I have about a dozen purchased and freebies, but I just wanted to make one myself. I found this gorgeous fabric -- it's heavy and bag-perfect, though it frays like crazy. 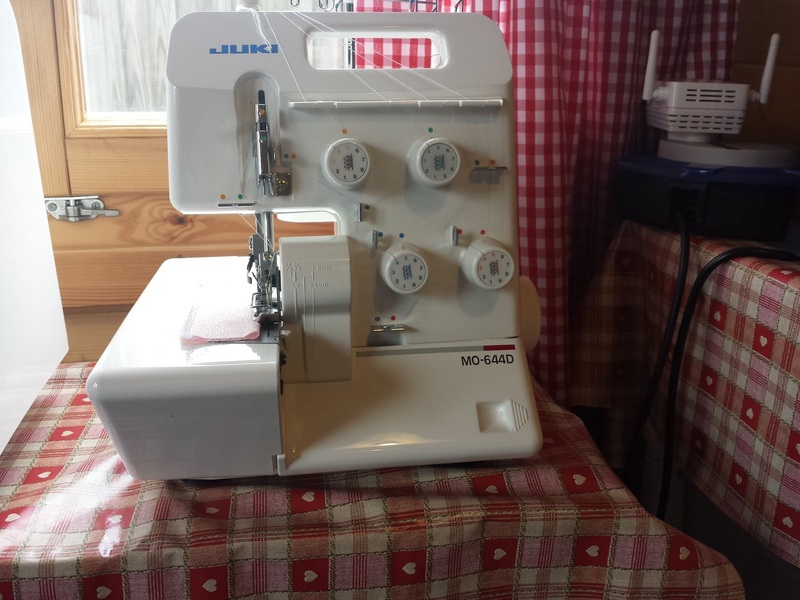 Good news: My overlocker (USA "serger") is now out of its box. I bought it at a craft show in February 2012 and just this week opened the box! After reading about the threading problems, I was scared stiff to use it. Silly me....choke! The truth is, I still haven't used it! 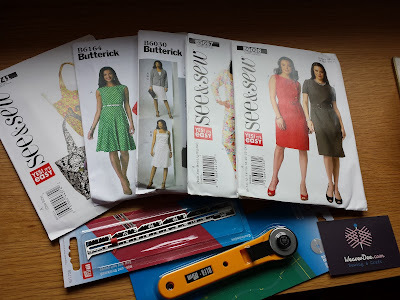 I have, however, signed up for an online overlocker/serger course on Craftsy, but haven't had time to start that yet, either.